This watertight hard case for DJI Phantom 3 features wheels and a retractable handle designed to make travel easy. 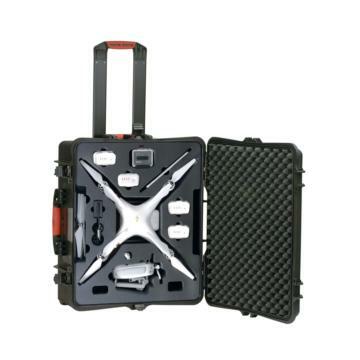 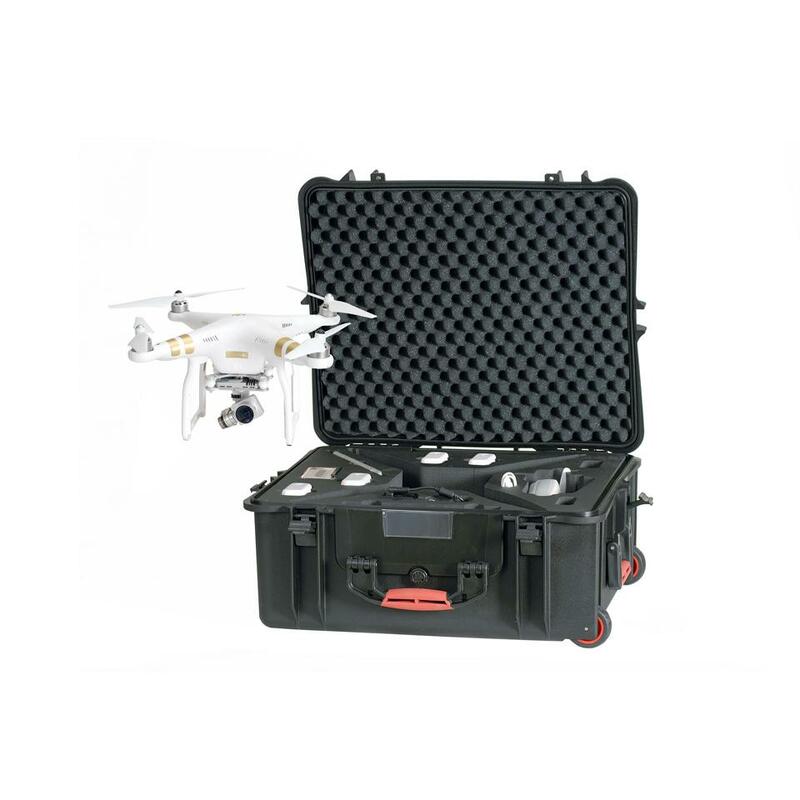 Based on the HPRC 2700W series, this version features a pre-cut high-density foam interior that specifically holds the DJI Phantom 3 Quadcopter, the remote controller, a Tablet up to 10”, four spare batteries, the charger, two sets of spare props, a GoPro with housing and a number of other miscellaneous accessories. The case is impact and drop resistant, corrosion resistant, and features a neoprene seal that when properly closed is designed to keep the case watertight and your Phantom gear protected even if submerged in shallow water. A release valve allows you to equalize air pressure when traveling between different elevations. 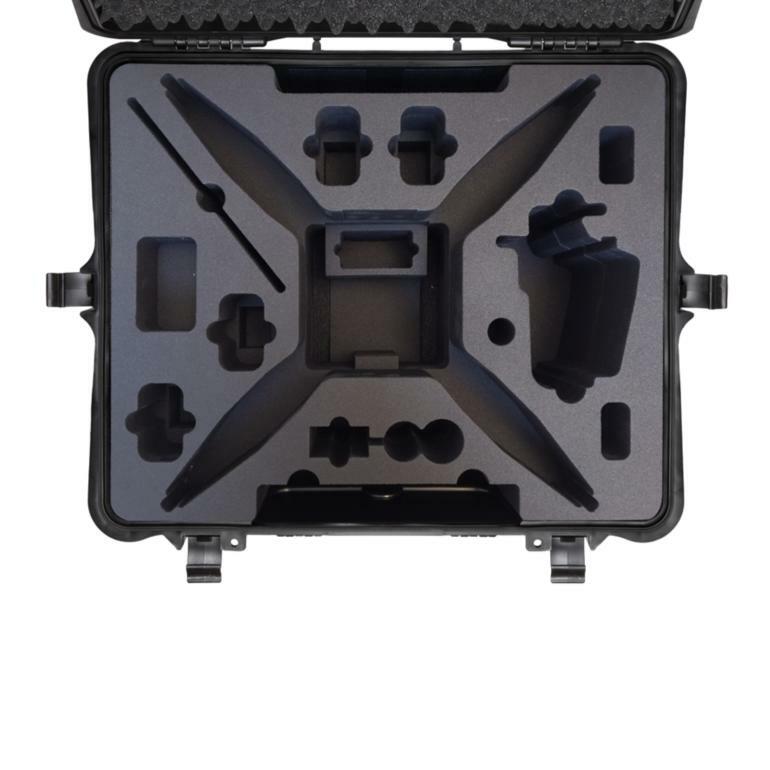 The modular nature of the interior means that after you've stopped using the Phantom 3 you can repurpose this case by replacing the foam cutout with either the HPRCCUB2700W foam or the HPRCSFD2700W divider kit.